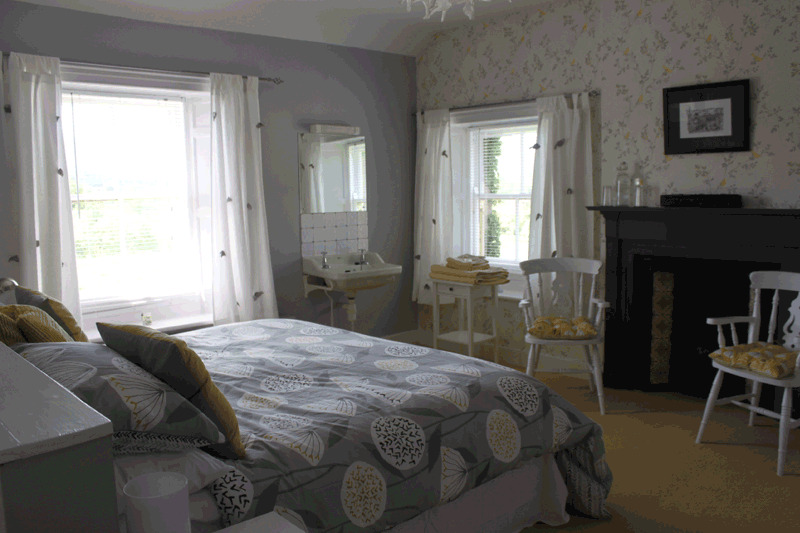 Guests have 4 bedrooms to choose from, each with its own unique character. 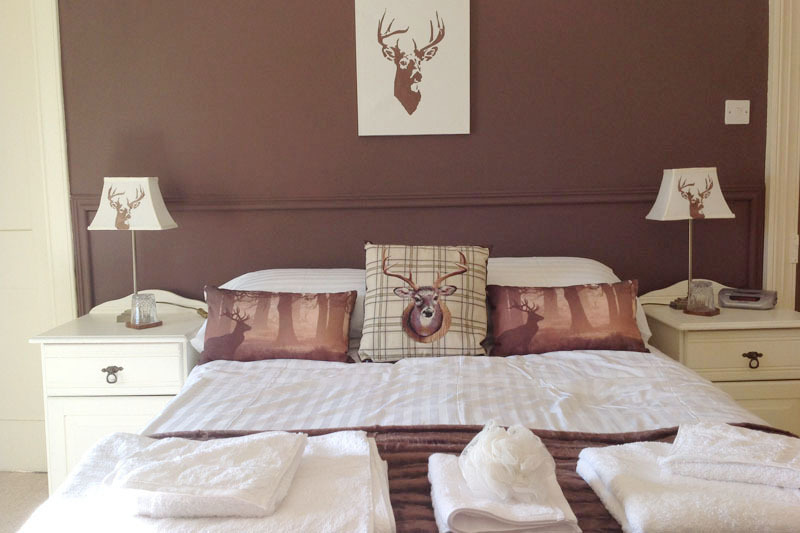 All have flat screen TV, free WiFi, hospitality tray, hairdryer, power shower and complimentary toiletries. 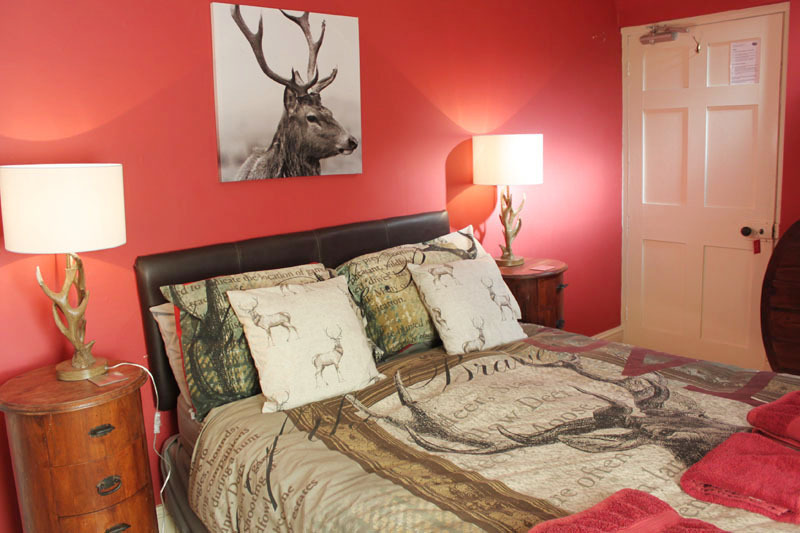 A large double room, decorated with stag-themed bedding, hand printed fabrics, prints and fittings, has an en suite bath and power shower en suite. The room faces south with stunning views of the hills. 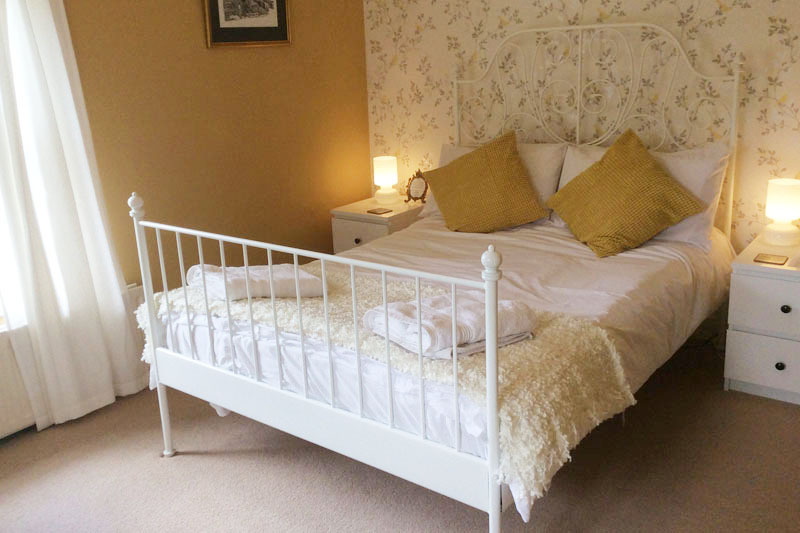 A large bright and cheerful room which can be either a twin or super king size double. It has dual aspect windows facing south and west. It’s private bathroom with power shower is adjacent to the room. Original artworks decorate the walls.